Le Domaine de Longueroche et le Château Bertrand sont situés sur la commune de St-André de Roquelongue au cœur des Corbières, et plus précisément sur le terroir de Fontfroide. "Un terroir béni des dieux ". Parallèle au littoral, le massif de Fontfroide abrite derrière ses roches et ses belles étendues de chênes et de pinèdes au paysage de doux vallons aux courbes gracieuses. Un paysage à l'harmonie si parfaite qu'on le croirait créé tout exprès pour accueillir un vignoble et une flore d'exception. 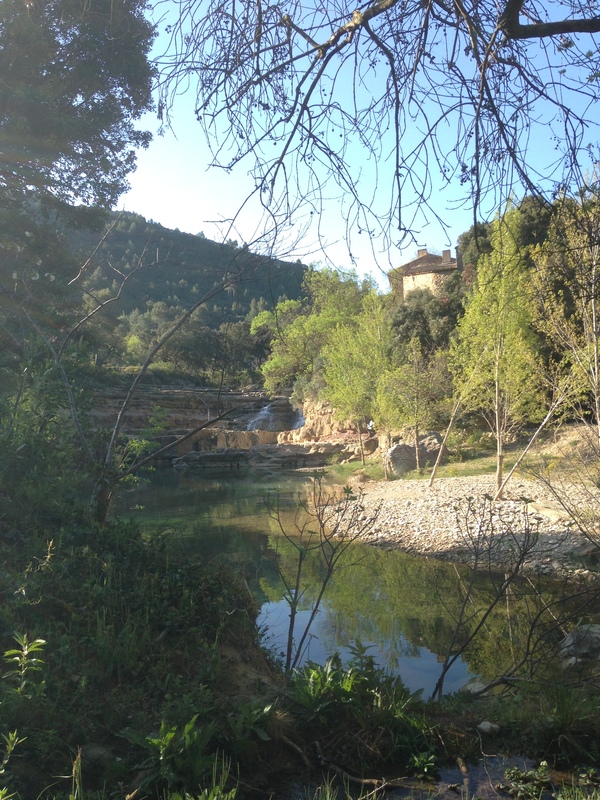 Domaine Saint Jean de la Gineste spreads over 20ha. It features a soil of limestone and clay; some areas are covered with worn pebbles. The harvest manual for a half, mecanized for another half, with rigorous sorting out. Olivier and Jean-Louis will welcome you to share their passion for wine and the vine and spend a pleasant moment. Planted on clay and limestone soils, the vines hold carefully selected varietals in order to give rich and well-balanced wines. 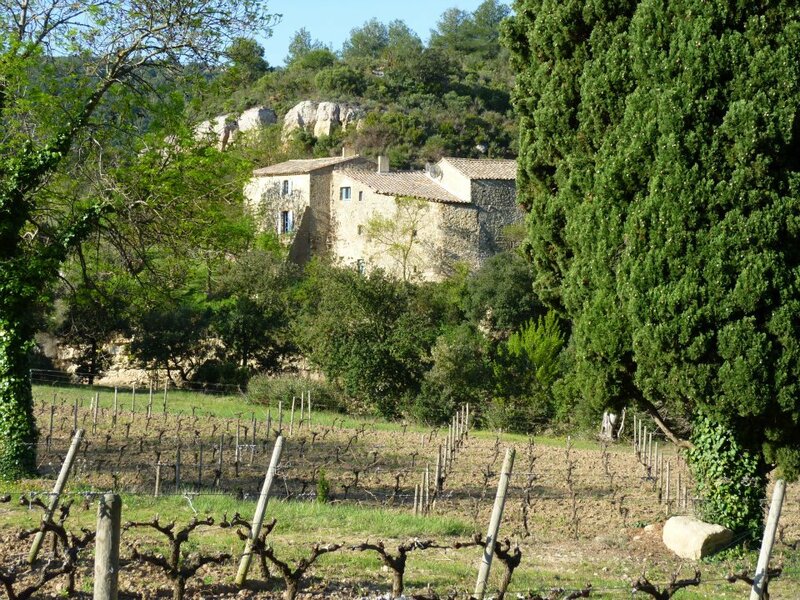 Château de Saint-Eutrope corresponds to a 45ha vineyard, of which 95% received the Corbières Appellation, a reward for the firm criteria Olivier and Jean-Louis strictly follow. They indeed opted for a balance of Syrah, Grenache noir, Mourvèdre and old vines of Carignan for their red and rosé wines, while the whites are made of Macabeu, Bourboulenc and Grenache blanc. - White: harvest by hand, direct pressing on a pneumatic wine-press with clarification of the musts at 5°C for 48 hours. Yeasting and minute control of temperature kept to 16°C during the whole fermentation process. - Rosé: direct pressing on a pneumatic press with clarification of the musts at 5°C for 48 hours. Yeasting and minute control of temperature kept to 16°C during the whole fermentation process. - Red: 50% of unstemmed grapes, temperature control, offloading at the start of fermentation, and daily reassembling until the end of fermentation. 50% of grapes harvested by hand go through a carbonic maceration process. Some specific wines are kept in new oak barrels. This Estate was created in 1869 on the Roman site of Villa Mayor; as for the name of Sainte-Lucie, it dates back to the 17th century. It was last renovated in 1992. 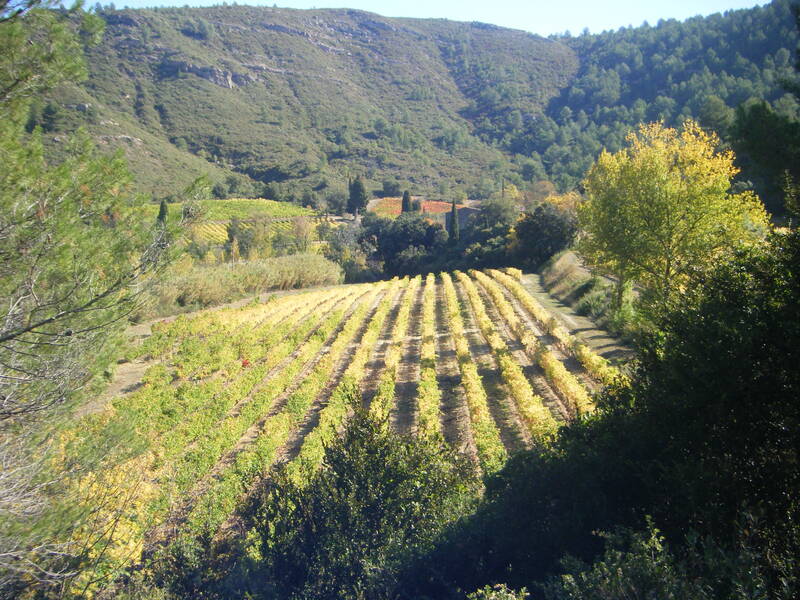 The vineyard, 53ha of which 40 ha are vines (38,5 ha for the current production), is classified in AOP Corbières (22ha) and AOP Corbières-Boutenac (12ha). The buildings comprise of an old regional house built in 1869 and adjacent operation buildings, with a courtyard of honor and an operation courtyard. A long path lining up maritime pines leads to the buildings surrounded by two pinewoods. The Gasparets chapel overlooks the Estate, located 1.5km from the Gaussan monastery and c. 4km from the Fontfroide Abbey. At the heart of Corbières, the Creators of ‘Vins de Terre d'Expression’ invite you to take delight in discovering exceptional wines. In our cellars named Charles Cros in Fabrezan and Joseph Delteil in Serviès-en-Val, we honor the memory of such Great Men, whose characters have passed on to our vintners. Varietal wines, traditional vintages, expression of terroir, exceptional wines or emotion-providers: we have a special wine for each special moment. Come discover them. C’est au cœur du pays cathare que le château de Luc trouve ses origines dès le 5ème siècle. Son terroir sur les terrasses caillouteuses au pied de l’Alaric, confère à nos vins concentration et équilibre. Préservé et restauré, il offre aujourd’hui un formidable témoignage de ce patrimoine historique. Ses caves souterraines se visitent sur rendez- vous. Famille Fabre et son équipe vous y invitent pour une dégustation. Of our 135 ha-vineyard is strategically surrounded and protected by 500 hectares of scrubland, providing a rich ecosystem and a unique environment. Around 20 miles from the Mediterranean sea and at an altitude of 100 to 180 meters, Caraguilhes is blessed with the Tramontane, the local north-west wind, which helps keep the vines healthy by reducing their susceptibility to fungal disease and purging them from harmful insects. The wind also cools the vines during the hot summer days, which helps maintain good levels of acidity in the grapes and slows down maturation. The diverse types of soil (clay, sand, chalk and stone) and the varied orientations of the vineyards create ideal grape-growing conditions. Each parcel has a different set of characteristics and we aim to retain such diversity in our grapes and our wines. We have selected Syrah, Carignan, Grenache noir, Mourvèdre, Merlot, Alicante and Cabernet-Sauvignon for our reds, and for our white wines, Grenache blanc, Roussanne and Marsanne. Caraguilhes represents a dream site for any wine-maker. The diversity of grape-varieties and climatic conditions furnishes us with a rich palette of aromas, colors and flavors, which enables us to create unique blends expressing the unique personality of our terroirs. Located between vines and scrubland, near the village called Saint-Laurent-de-la-Cabrerisse, the Estate has belonged to the same family since the 19th century. Its situation within an old convent makes it absolutely charming. The cellar, in place of the old convent chapel, calls for the discovery of our wines, which you will taste in a very unique setting. Circled by over 100 hectares of vines producing, our estate produces authentic and fleshy wines: come and taste our special wines, namely “Randolin”, “La Chapelle”, and “Tradition”. The winery of ROQUE SESTIERE is a family company belonging to the Fontanille family. They are true lovers of the Languedoc-Roussillon region and wine is their sheer passion. ROQUE SESTIERE offers a wide range of white wines. We blend noble and old varietals, which allows us to produce unique wines, perfectly suited to your apéritifs, meals, desserts, and all kinds of specific occasions. Our wines are worthy of the Appellation (AOP: Appellation d’Origine Protégée) CORBIERES. Grapes are harvested by hand. You may taste and purchase our wines directly from the property, during diverse wine fairs, at wine stores and restaurants. Come visit us and discover our wines! Domaine ROQUE SESTIERE stands out as a reference for white wines in the whole Aude department (11) and the wider region of Languedoc-Roussillon. Other reasons will justify your visit to us: the beauty of the place, the warmth of our welcome. We will listen to you, and recommend wines perfectly suited to your tastes and wishes. To discover the best white wine of the Languedoc-Roussillon, come to Luc-Sur-Orbieu. The Cellier des Demoiselles recalls the story of young women who, when their men had left to fight during World World I, undertook their work, thereby revising the whole social organization. They taught us that to make wine is to allow our Terroir to reveal emotions, express the beauty of our landscapes, exhale the perfume of our flowers and celebrate the presence of the sun. They often say that wine is an Art to share in a moment of friendly conviviality. St Laurent de la Cabrerisse is ideally located between Carcassonne and its famous city, its cathedral and its beaches. Our village, by virtue of its situation, deserves its double nickname: “Gate of Hautes Corbières” [Porte des Hautes Corbières] and “Heart of the Pays Corbières-Minervois” [Cœur du Pays Corbières-Minervois]. 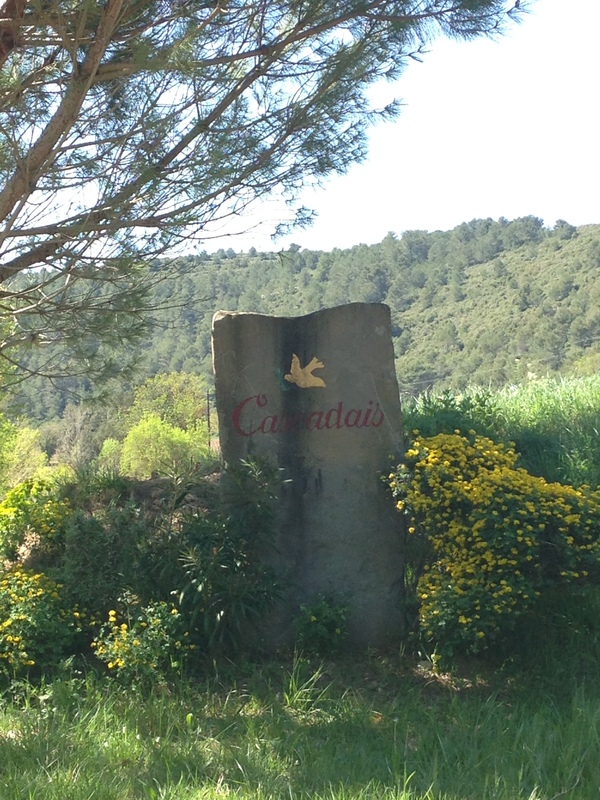 At the heart of the wine-growing area of central Corbières, Saint Laurent de la Cabrerisse belongs to the terroir of Boutenac. The climate is dry and warm; its south-east orientation is ideal for the grapes’ maturation process. Maison centenaire, la cave et le chai, dans une sorte de cirque naturel vallonné . Situé sur le terroir de Boutenac , Le micro-climat des Aiguilloux, voit s’ alterner la chaleur d’été modulée par le Cers vent nord ouest dominant ; la fraicheur en automne, des pluies parcimonieuses en hiver, assurant de petits rendements, et une bonne maturité qui apportera aux baies de belles concentrations aromatiques. 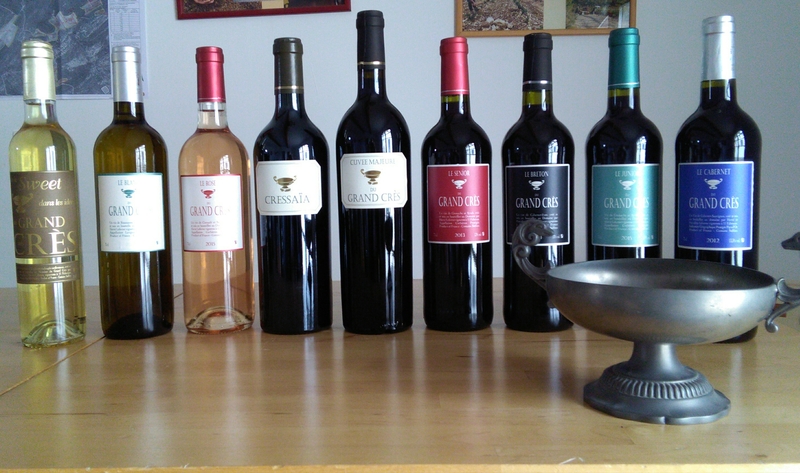 Les vins des Aiguilloux, sont en général des vins de garde, puissants, fins et élégants. Ils feront le plaisir de vos repas d’exception pendant de longues années. Le Domaine La Bouysse est situé au coeur des Corbières, entre la Méditerrannée et les Pyrénées, à proximité de la célébre abbaye de Fontfroide et sur les terroirs de Boutenac à St André de Roquelongue. Quatrième génération d'une famille de vignerons, Martine Pagès et Christophe Molinier, ont repris l'exploitation familiale en 1996 après avoirtout deux obtenu leur diplôme d'oenologue. Ils retirent leur production de la cave coopérative du village de Saint-André-de-Roquelongue, se lançant ainsi dans la grande aventure de la cave particulière. Le domaine s'étend sur 40 hectares et se compose de vignes, âgées de 30 jusqu'à 115 ans, qui bénéficient des grès sablonneux du terroir de Fontfroide et des terres argilos-calcaires du terroir de Boutenac. Le domaine s'est engagé, par conviction, en agriculture biologique en 2010 et a obtenu le label Agriculture Biologique en 2013. Ainsi, les vins sont produits dans une démarche de qualité et dans le respect de l'environnement. Martine et son frère Christophe font évoluer avec passion cet héritage familial et vous invitent à découvrir leur univers. 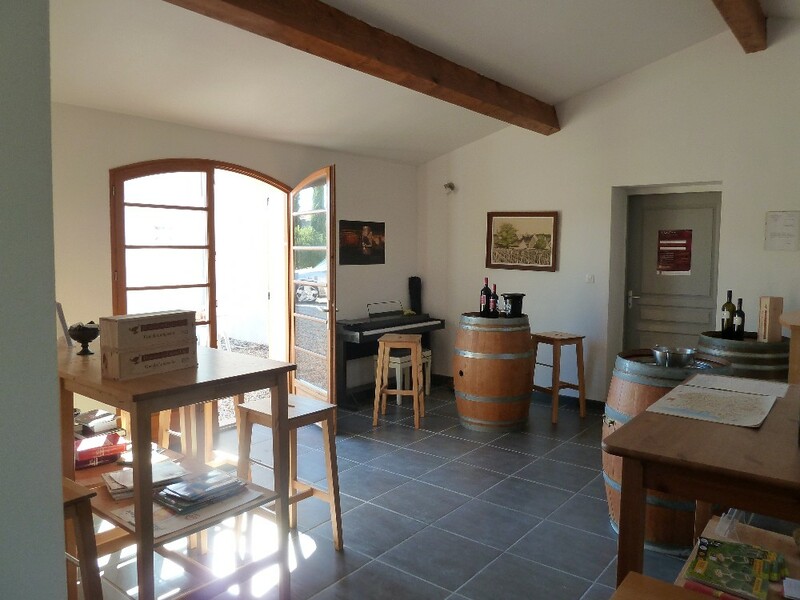 Le Domaine du Pech de L’Escale produit des vins en AOP Corbières. Blotti au cœur des corbières, en terroir Boutenac, réputé pour son terrain argilo-calcaire, couvert de galets roulés, le vignoble de plus d’un siècle s’étend sur 17 Ha de collines orientées sud-est. 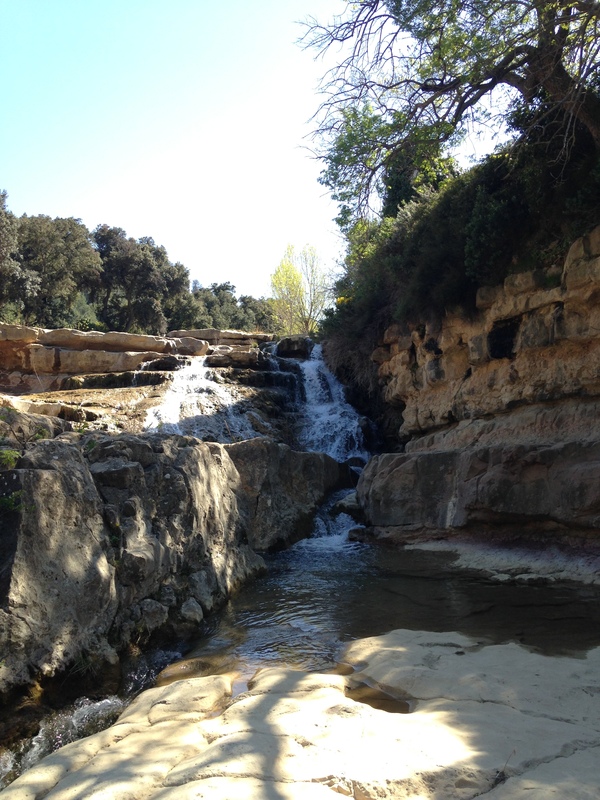 Ce terroir baigné de soleil et balayé par le vent est favorable au développement de raisins de qualité.La garrigue environnante, le chant des cigales, les senteurs de la terre, thym, cistes, chèvrefeuille, conifères émerveillent les sens du promeneur. Cet environnement donne naissance à des vins blancs parfumés et floraux, des rosés fruités et gourmands ainsi que des rouges sur le fruit, complexes poivrés et épicés après élevage. Les vins du domaine sont issus de cépages méridionaux : Carignan, Grenache, Syrah, Mourvèdre, Maccabeu , Vermentillo, Cinsault. La conduite raisonnée du vignoble et l’élaboration des vins sont réalisées dans un esprit authentique en préservant les richesses de ce terroir : observations régulières, faibles rendements (30 hectolitres / hectare), vinification et élevage traditionnel. Le Domaine de Fontsainte est au coeur du célèbre Croissant d'Or des Corbières, l'un des terroirs les plus beaux et les plus bénéfiques de l'appellation. Avec son orientation sud, sud-est et son ensoleillement intense, le vignoble en semi-coteaux de Fontsainte s'abrite des vents froids du nord-est au flanc d'une pinède de 500 ha. Dominant le paysage du village de Boutenac, le domaine profite d'un panorama exceptionnel. A seulement 95 m d'altitude, le vignoble jouit d'un environnement vierge (loin de tout développement industriel ou urbain) et de l'alternance des influences de la Méditerranée et de l'Océan. Château Maylandie est un vignoble familial de 28 ha, situé au coeur des Corbières, sur le Terroir de Boutenac, entre Carcassonne et Narbonne. 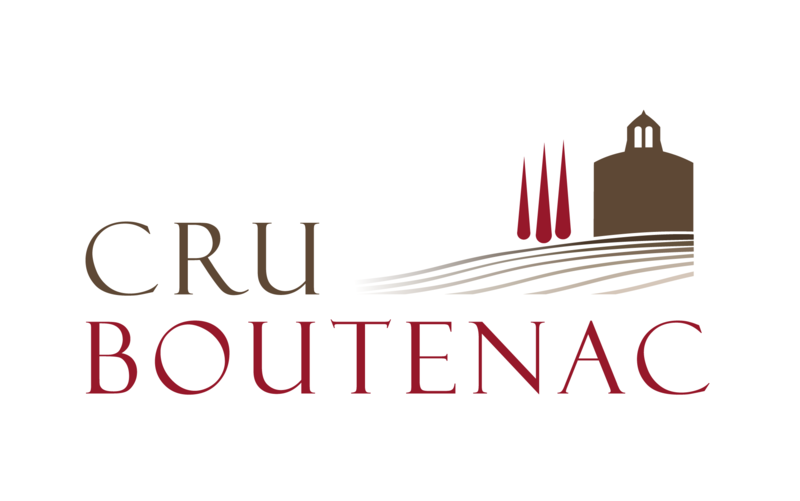 Nous sommes Vignerons Indépendants et produisons des vins blancs, rosé et rouges en AOC Corbières et AOC Corbières-Boutenac (l'un des rares crus du Languedoc). Nous cultivons nos vignes dans le respect de l'environnement (Agriculture Raisonnée) et créons des vins de qualité régulièrement récompensés par les Guides et les Concours. Toute l'année, nous vous accueillons dans notre caveau de dégustation ; facile d'accès, il se trouve à 4 km du péage de Lézignan. Vous pourrez y déguster nos vins, acheter des produits régionaux (miels, olives, vins doux naturels, bières, crémants, conserves...) et vous procurer un circuit pédestre à travers nos vignes. Aujourd'hui, Château La Voulte Gasparets est beaucoup plus que du vin, il est le symbole de la transmission des choses bien faites, l'importance de savoir attendre l'excellence. Cette philosophie est le reflet de l’esprit d’engagement de la famille Reverdy qui repose sur le respect et l’implication d’une équipe qui s’occupe avec soin et attention de chaque détail. 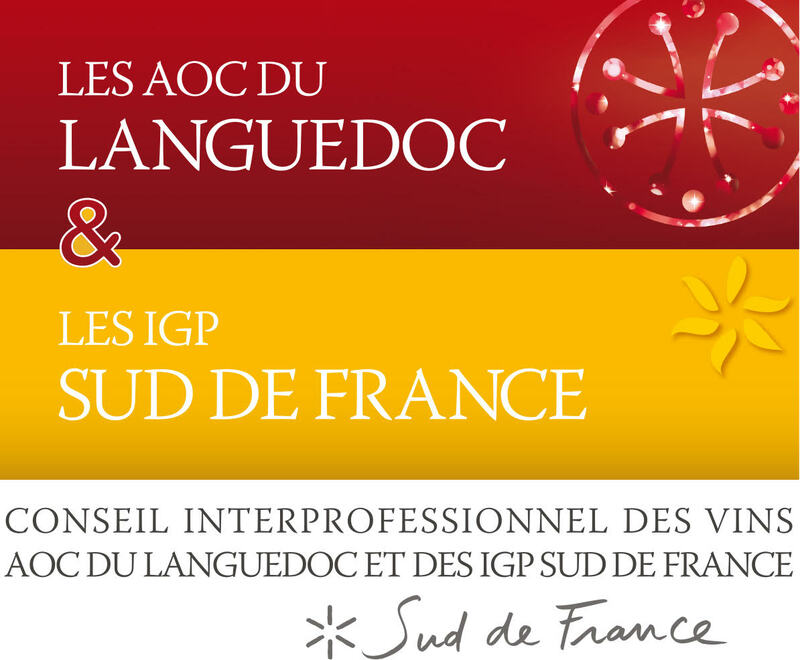 La recherche de l’excellence et l’exigence qui nous animent nous permettent d’obtenir de grands vins. Le Domaine du Grand Crès (lieu-dit qui signifie en occitan “la pierre”) est situé à 300 mètres d’altitude. Un terroir original dans un décor sauvage, entouré de landes et de garrigues, des petits rendements qui donnent de la concentration dans les vins mais aussi de la fraîcheur et de la finesse dues à l’altitude. Dans ce domaine familial, le mot d’ordre est le respect de la nature et du vignoble ainsi que les soins apportés en cave. L’expérience bourguignonne se retrouve en cave : raisins égrappés, macération pelliculaire à froid et élevage sur lies fines pour les blancs. Les cépages Roussanne, Viognier, Vermentino et Muscat composent les deux blancs, un blanc sec et un moelleux issu de raisins surmaturés. Pour les rouges, macération traditionnelle, pigeages quotidiens, extraction modérée et élevage en barriques ou en cuves. Grenache et Cinsault plutôt pour les vins sur le fruit non élevés en bois. Syrah pour les cuvées plus concentrées, avec des styles différents selon les parcelles et les types d’élevage. Cabernet Franc et Marselan permettent des cuvées hors des sentiers battus. Le Domaine Espérou se situe au cœur des Corbières sur le terroir de Boutenac. Ce terroir est exposé plein sud, adossé à de basses collines caillouteuses, où de vieux Carignans majoritaires sur le domaine donnent naissance à un vin à la robe rubis et aux arômes de fruits rouges. C'est une exploitation familiale qui se perpétue depuis 5 générations. Cécile et Eddy Bonnafous ont repris ce domaine depuis 5 ans tout en conservant le caractère authentique et traditionnel de ce lieu. Lydie Hiez, originaire de la région parisienne, et son conjoint Vincent Viannes se sont installés comme jeunes agriculteurs et rachètent peu à peu de vieilles parcelles sur le terroir de Boutenac: 11,5ha aujourd'hui. Premier millésime en 2007. Bien connu pour son Château Ollieux Romanis, Pierre Bories a racheté en 2012 le Champ des Murailles, domaine en corbières-boutenac créé par François des Ligneris, ancien propriétaire du Château Soutard, grand cru classé de Saint-Émilion. Couvrant quelque 10 ha sur le flanc ouest du massif du Pinada, ce vignoble se caractérise par un microclimat plus frais que le Château Ollieux Romanis. Château Spencer la Pujade, dont le nom parcourt déjà le monde, puise sa force dans un sol argilo-calcaire et dans le micro climat dont bénéficient ses parcelles. Chacune d’elles ayant son identité, le maître de chai les vinifie séparément avant de les assembler amoureusement pour atteindre l’excellence. De la culture de la vigne à l'élevage, la vinification au Château ne serait rien sans la main de l'homme : macérations et fermentations douces se succèdent, permettant au raisin de s’exprimer pleinement. De la simplicité du vieux Carignan, vinifié en mono cépage, aux assemblages plus sophistiqués des deux vins de Corbières, l’amateur peut élire ici le vin de son choix en fonction de ses goûts . Le Domaine Ledogar est conduit par deux frères, Xavier et Mathieu Ledogar, fils de vigneron coopérateur, implanté sur la commune de Ferrals-les-Corbières, au coeur de l'Aude et - bien sûr - de l'appellation Corbières. Sur les dizaines de parcelles du domaine, cultivées sans aucun instrant chimique, Mathieu et Xavier choient la vie des sols, selon les préceptes de la biodynamie, appliquant des règles différentes sur chaque parcelle. Les vins du Domaine Ledogar sont de vrais modèles d'authenticité. Ancrés dans leur terroir, nos deux frangins sont parvenus au fil des millésimes à donner une vraie identité à leurs cuvées. Du premier vin friand à la grande cuvée du domaine, en passant par La Compagnon, Corbières fruité en diable, tout ici est simplement très très bon, il serait criminel de passer à côté de la découverte de tels vins ! Nous consacrons notre savoir-faire et notre amour au travail de la vigne et à la vinification. Dans le respect de la nature et de la vigne, nous travaillons selon le principe de la culture bio-dynamique. Pour atteindre cette qualité particulère, due au faible rendement, nous vendangeons à la mains et sélectionnons rigoureusement les raisins. Une attention particulière à la vinification par cépage et le moine de traitement mécanique possible renforcent cette qualité. Venez découvrir ce petit domaine viticole des Corbières, situé à deux pas de l'abbaye de Fontfroide et à quelques encablures de la méditerranée, entre ciel et garrigue. En 1992, Philippe Courrian et ses enfants achètent une partie du château Saint Laurent à Monsieur de Bermon de Vaux. La propriété prend le nom de Cascadais grâce à la présence de superbes cascades. Elle est situé dans la vallée de la Nielle (affluent de l'Orbieux). L’acquisition de cette propriété est un coup de foudre pour un terroir autant que pour un paysage unique et préservé. Chaque année, notre défi est d’amener chaque parcelle et chaque cépage à la maturité optimale. Seuls les grands terroirs sont capables de produire un Mourvèdre exceptionnel. C’est notre cépage-roi et notre singularité. Le vin est ma passion. Je tenais particulièrement à ce que nos vins soient vinifiés et élevés dans une cave construite selon les techniques millénaires permettant de les protéger des variations thermiques. Cet édifice en Pierre de Taille du Gard s’insère totalement dans la topographie des lieux et le respect de l’environnement offrant un assemblage subtil et délicat de traditions et de modernité.